Former undercover soldiers belonging to a secret military unit are to give evidence in public about the shooting of two civilians in Belfast during the height of the Troubles. Northern Ireland’s chief legal officer has ordered fresh inquests into the killings allegedly by the army’s Military Reaction Force (MRF), which nationalists have claimed operated as a death squad in the bloodiest year of the conflict. John Larkin, the region’s attorney general, said evidence from a BBC Panorama investigation into the unit’s activities, broadcast last year, had prompted him to order new inquests into the killings of civilians including Daniel Rooney and Patrick McVeigh. McVeigh was fatally shot in the back by plainclothes soldiers on 12 May 1972. Five months later the MRF was suspected to be behind the fatal shooting of Rooney and Brendan Brennan on the Falls Road. Members of the MRF told Panorama that they had been tasked with “hunting down” suspected IRA members and shooting them. One retired soldier said on the programme that they fired on suspected IRA men even if they were not being fired on themselves. The Ministry of Defence has never officially acknowledged that the undercover army squad was behind the fatal shootings of at least 10 unarmed men over an 18-month period until the MRF was disbanded in 1973. Larkin quotes dialogue from the documentary’s script in which a former member of the MRF now living in Australia says the army’s “yellow card” rules that strictly governed the use of firearms did not apply to the MRF. 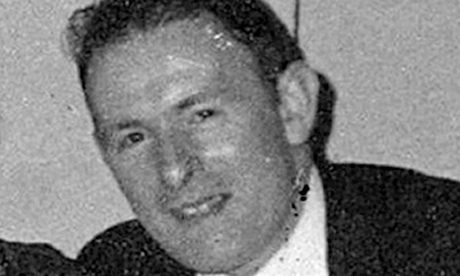 Padraig O Muirigh, a solicitor for the Rooney and McVeigh families, welcomed the attorney general’s decision. “The McVeigh and Rooney families had no faith in the original police investigation or the current inquiry by the Historical Enquiries Team. Nor had they any faith in the original inquest because the coroner never had any access then to the activities of the MRF,” he said. The MRF comprised 40 hand-picked soldiers from across the British Army. They addressed each only by their first names and never had military identity tags or documents on them while deployed in Northern Ireland. For decades the families of victims have alleged that the MRF operated as a death squad set up to strike fear into the general nationalist population by killing civilians as well as targeting known IRA members. This page was loaded Apr 25th 2019, 9:45 pm GMT.